Humorous poems are always a hit with children. Finding free poems for children to read can be a great way to expand your son or daughter's literary horizons. ABC poem: An ABC poem uses the letters of the alphabet to make a poem with a theme, such as using the words apple, banana, and carrot as the first three lines in a poem about favorite foods. Acrostic poem: Also known as a name poem, this is a poem where the first letter of each line spells out a person's name or a specific word. Haiku: A form of Japanese poetry, a haiku has three lines and 17 syllables. It does not rhyme. If you're interested in learning more about this type of poetry, check out our article on Haikus to Read to Children. Limerick: Limericks are short poems with five lines. The first, second, and fifth have seven to ten syllables and rhyme with one another. The third and fourth lines have five to seven syllables and also rhyme with each other. If you'd like to introduce your child to classic poetry, A Child's Garden of Verses and Poems Every Child Should Know are excellent places to start. A Child's Garden of Verses by Robert Lewis Stevenson is one of the most famous collections of children's poetry ever published. It was first published in 1885 under the name Penny Whistles and has since gone through several editions. Today, A Child's Garden of Verses is available in its entirety for free on the Bartleby site, so you can share poems such as "Foreign Children," "The Lamplighter," "The Land of Counterpane," and "The Swing" with your child. Project Gutenberg also has this title available as a free e-book download. Poems Every Child Should Know is a collection of classic children's poems including favorites such as "The Raven", "My Shadow", and "The Village Blacksmith". The anthology was first published in 1904. Today, it can be found as a free e-book on the Project Gutenberg Web site or a free audio book on the LibriVox website. Poetry 4 Kids: The Poetry 4 Kids Web site features free funny poems for children to read, lessons for children interested in writing poetry, writing contests, poetry podcasts, and poetry games to play. Apples 4 the Teacher: This site for teachers features a nicely organized directory of poems for children to read, including poems with animal, history, holiday, and seasonal themes. Poetry Corner: This cute site features more than 100 free poems for children to read, covering humorous topics such as a snoring grandma, losing your first tooth, and what to do when your favorite cookies are missing. 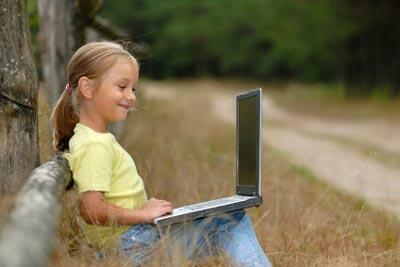 Fun 4 Children: The Fun 4 Children site has an assortment of poems written by children, covering a wide range of topics. Aspiring poets can also submit their work to be included on the site. Poems to Children: Poems to Children is a collection of poems written by Nicolas Gordon in the perspective of an adult talking to a child. If you're looking for an inspirational poem to share with your son, daughter, grandson, granddaughter, niece, or nephew, this site is an excellent resource. Many websites offering free printable books for kids and free online books for kids also have sections devoted to free poems for children to read.